After 27 years of a struggle for the truth, the inquests into the deaths of 96 people at the football match in Hillsborough in April 1989 determined that they had been unlawfully killed. This decision represents a damning indictment of the South Yorkshire Police force. For the families of the 96, this decision brought to a conclusion one of the longest campaigns to expose the truth of the massive establishment cover up in Britain and the nature of unaccountable powerful interests and represented full vindication for those women and men who battled to clear their loved ones names and reputations. Margaret Aspinall whose son James (18) died at Hillsborough and Sue Roberts who lost her brother Graham (24) played a key role in campaign waged by the Hillsborough Family Support Group. 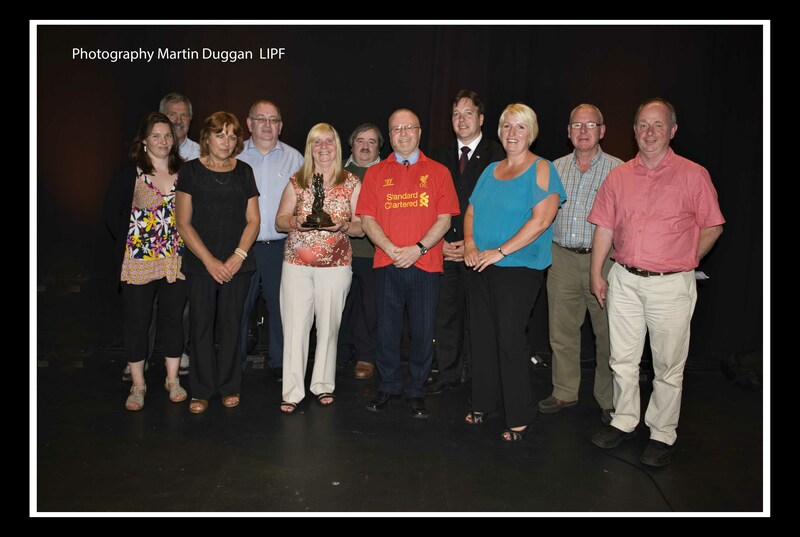 Richard T. Cooke of the Cork Mother Jones Committee presenting the Spirit of Mother Jones Award 2013 to Margaret Aspinall. Photo (c) Martin Duggan. On behalf of the Cork Mother Jones committee, we extend our warmest congratulations to Margaret and Sue. These two extraordinary women have fought through many dark days for truth and justice and humanity, their efforts on behalf of the 96 who died have been inspirational and their efforts on behalf of James and Graham have been heroic. 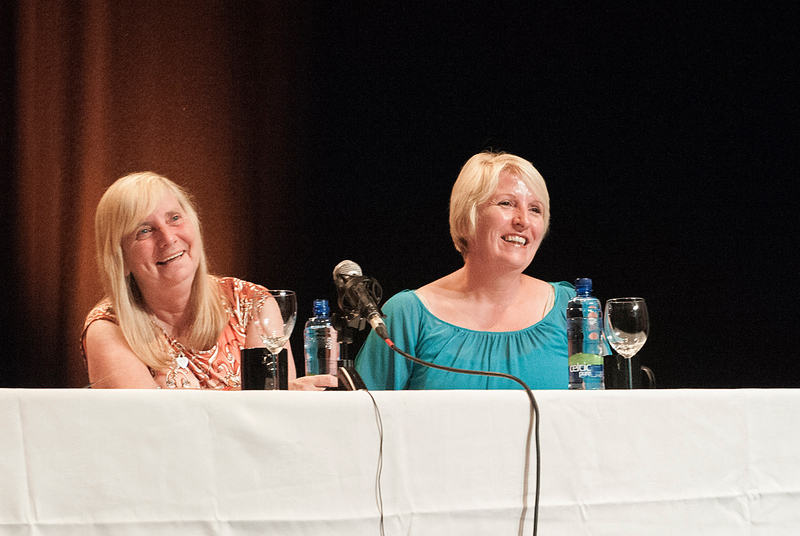 We recall Margaret and Sue speaking at the 2013 Spirit of Mother Jones summer school on Tuesday 30th July in the Firkin Crane Theatre. 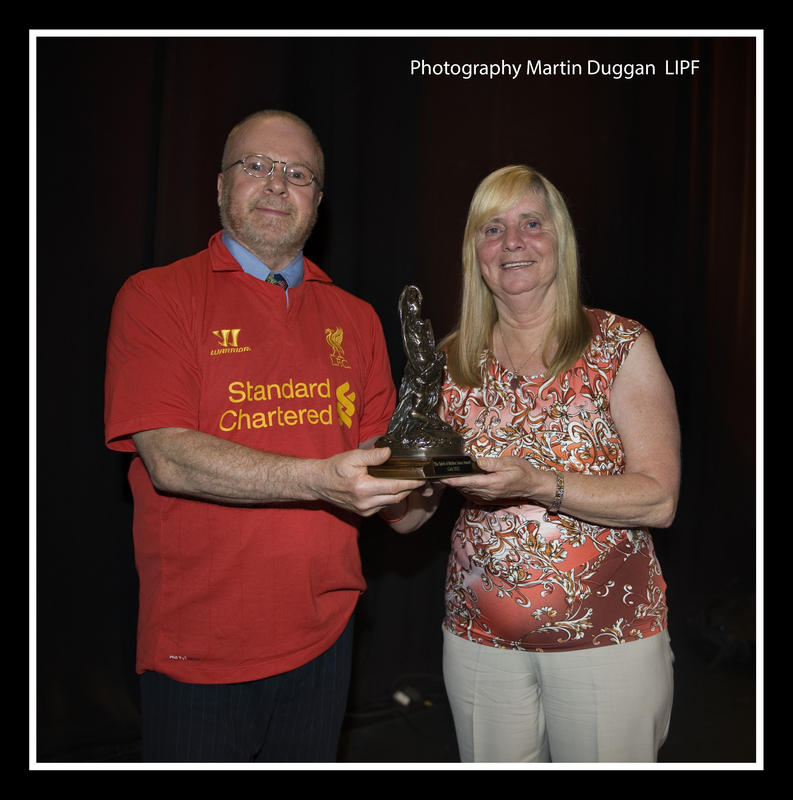 Those who witnessed Margaret’s stunning account about events at Hillsborough and afterwards will never forget it. We were proud to present the inaugural Spirit of Mother Jones awards to Margaret and Sue that evening . We salute you Margaret and Sue and all the Hillsborough families and justice will prevail.